I wanted to take a moment to say Howdy and welcome to the Central Texas Prepping. This site came about because, as I became more and more involved with being ready for emergencies, I continued to notice that there were hundreds of sites dedicated to prepping, survival, woodcraft and everything else. There wasn’t really one site out there where people in a certain geographic region could share information or ideas. I love living in central Texas and we have an amazing abundance of wildlife, terrific weather and respectful people all around us. However, our region is prone to disasters just like many others. I am certain that many people living in central Texas have experienced some form of disaster that affected their family or friends. With that being said, what, exactly, is central Texas? I have found that that depends on who you ask. Geographically, central Texas is mostly rural farms and ranches with a splash of cities and towns thrown in. Wikipedia (which is not exactly a perfect source) lists 15 counties that are essentially always considered central Texas. 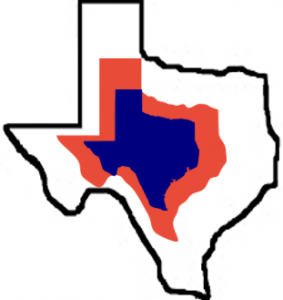 There are an additional 26 counties that are “sometimes” considered to be part of central Texas. Just so everyone knows, I do not intend to limit anyone based on where they live. But I feel it is pretty obvious that someone living in Amarillo would probably not consider themselves to be in central Texas. So, the counties (+ population in thousands) that are always considered are: Bastrop (80), Bell (335), Blanco (11), Burnet (45), Coryell (75), Falls (17), Gillespie (26), Hays (194), Lampasas (20), Lee (16), Llano (19), McLennan (245), Milam (24), Travis (1,176), and Williamson (508). That means there are approximately 2,791,000 people living in central Texas. The additional counties that are sometimes included are: Bandera (21), Bexar (1,897), Bosque (17), Brazos (215), Burleson (17), Caldwell (40), Comal (129), Comanche (13), Fayette (25), Freestone (19), Gonzales (20), Guadalupe (151), Hamilton (8), Hill (34), Kerr (50), Kendall (40), Kimble (4), Leon (17), Limestone (23), Madison (14), Mason (4), Mills (4), Robertson (16), San Saba (5), Washington (34), and Wilson (47). These additional counties include approximately 2,864,000 people. Taken altogether it is safe to say that central Texas has a population of almost 5.6 million Texans. Bear in mind that these approximate numbers are for 2015. Texas receives almost 250,000 new residents each year who move here from out of state. Annually, almost one million Texas move within the state also. All this means is that there are a great many people here and more come every year. These people are our friends, family and neighbors. Some were born here and others got here as fast as they could. J Still, with all of these people, it is likely that a very small percentage are actually prepared for an emergency. Hopefully, this site will serve as a source for more central Texans to begin the journey from unaware to prepared. With that, I will leave you for now. Again, Howdy and welcome and I look forward to “seeing” you in the future. Until next time, what are your thoughts? Are you new to the area or have you lived here for ages. Do you live in one of the cities or a small town? Have you personally experienced a disaster and, if so, were you prepared or not? Thank you and take care.